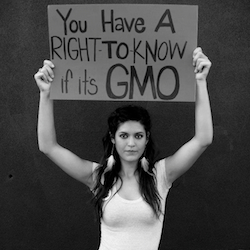 The growing calls by consumer rights groups and concerned citizens for clearly labeling foods produced with genetically modified ingredients suffered a major — potentially grievous — setback Thursday when the Senate passed a so-called compromise bill. 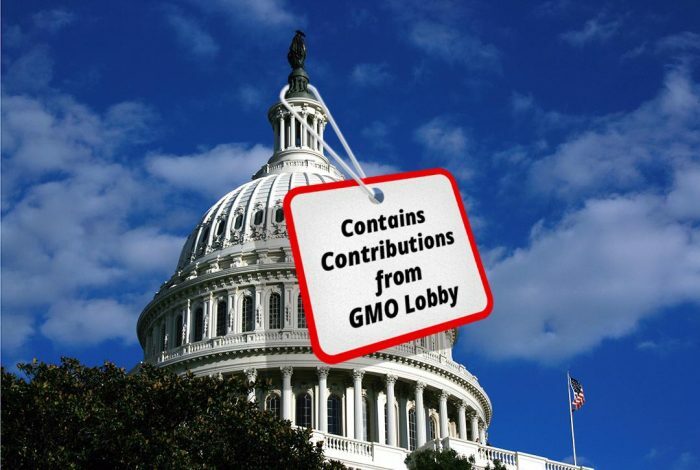 Critics say the compromise legislation, originally passed by the House last summer and then tweaked in the Senate, is actually a giant favor to the deep-pocketed pro-GMO-food lobby. In stark contrast to a robust bill enacted in Vermont on July 1st, which stipulated that genetically-modified foods must be labeled in clear language, the federal law will allow food companies to present the same information in much less accessible forms: on their website, or via a 1-800 phone number, or embedded in a so-called QR Code, basically a barcode that a curious consumer will have to access through a specially designed smart-phone app. If signed by the president, the federal bill, H.R. 1599 — cleverly renamed by GMO-critics as the DARK Act (Deny Americans Right to Know) — will negate the Vermont law, along with similar labeling laws developed in Connecticut and Maine. “This is blatantly not a labeling law,” Patty Lovera, assistant director of DC based NGO Food & Water Watch, told WhoWhatWhy. “It’s a poor substitute for actual words on a label, which is what Vermont does.” Indeed, it was designed to block the Vermont initiative, she adds. “It’s also very elitist, you have to have a smartphone, you have to have an app, you have to have a signal in the grocery store, you have to know how to use it,” she said, joking that a consumer would need another hand to shop, perhaps hold on to their child, while moving down the aisle checking QR codes on a to-be-designed app. Since what ABC called such “unanimity of public opinion” is extremely rare, why would the Senate risk voting (65-32) so strongly against a near-consensus of its own constituents? Lovera said “quite a few bad guys” worked against the popular will in this instance, but points especially to Agricultural Committee chairman Pat Roberts, a Republican from Kansas, and his ally, Michigan’s Debbie Stabenow, a Democrat. Chemical and seed giant Monsanto and the anti-labeling Grocery Manufacturer’s Association were allowed to drive the debate in the committee. Their most consistent gripe, purportedly accepted as fact by Roberts and Stabenow, is that a patchwork of state-by-state regulation would have been economically unsustainable. 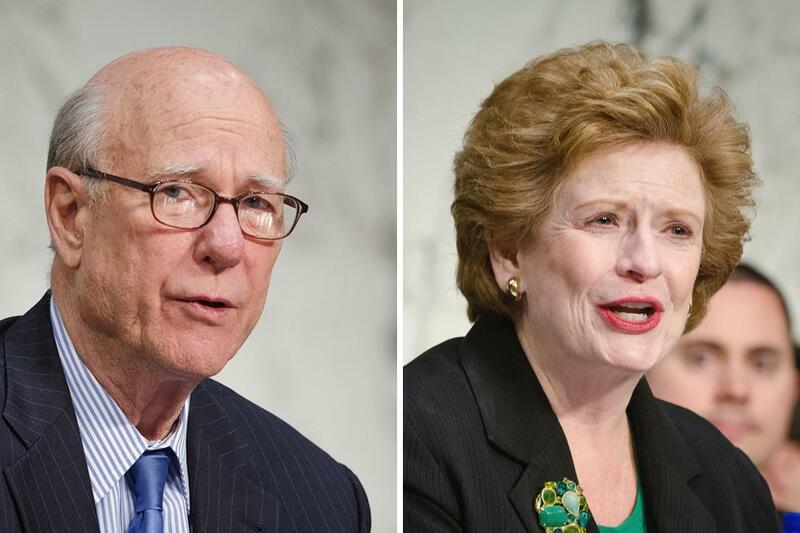 The pro-business Senate vote surprised even some hardened anti-GMO activists. “I can’t say I am shocked, but I am — shocked! It seemed as if they had finally given up and little Vermont had won,” Bob Klein of Safe & Healthy School Food Coalition toldWhoWhatWhy. He explained that there is just too much money globally at stake to let the people in a small state beat US agribusiness. If the House of Representatives follows suit, as expected, the bill will go to the White House for President Obama’s signature. Anti-GMO advocates aren’t optimistic that the president will veto such obviously pro-business legislation. The next big battle on this front may bring US agribusiness into conflict with the 28 European countries plus Australia that already require disclosure of genetically modified ingredients on food labels. Both Lovera and Klein speculated that big-agricultural corporations like Monsanto will look to the Transatlantic Trade and Investment Partnership (TTIP), a pending international trade deal that would allow corporations to sue sovereign governments for any actions that threaten profits. “European regulations drive US agribusiness bonkers and they’d love to go after them,” Lovera said. Obama has been a strong proponent of TTIP from day one. La source originale de cet article est who.what.why.